Railways have served Scotland for nearly 200 years. 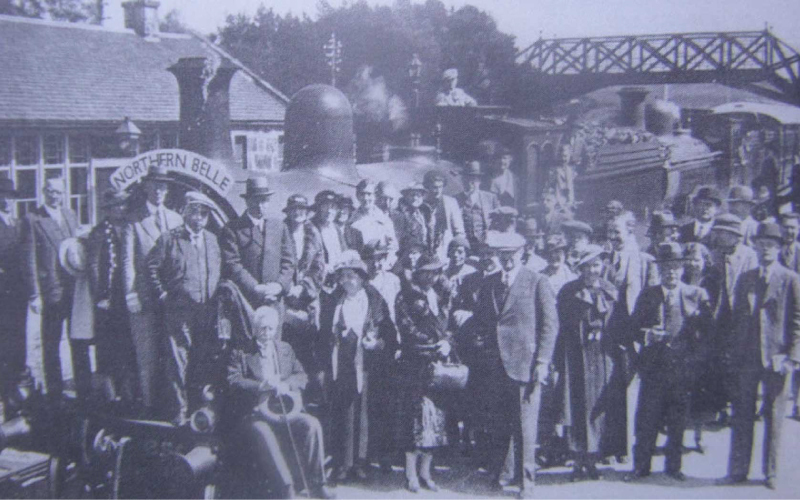 The line which ran through Grantown East, built by the Great North of Scotland Railway, opened on 1st July 1863. The last train passed through Grantown East on 2nd November 1968. Find out more. 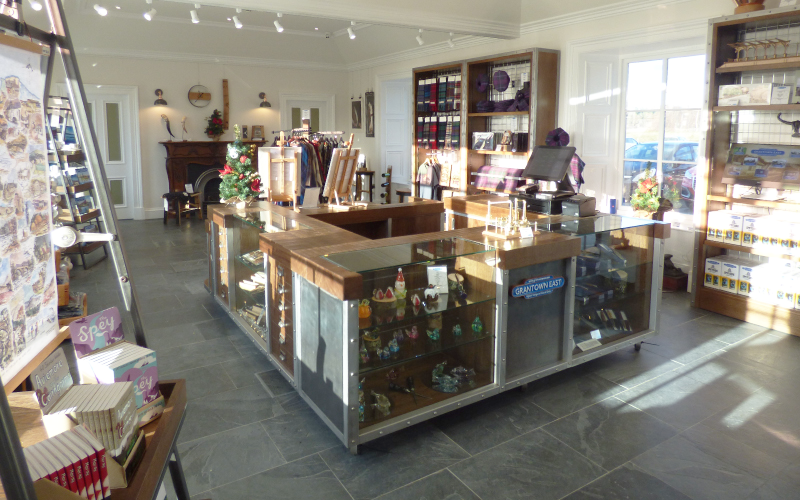 Visitors to our Highland Heritage & Cultural Centre can view our interactive screens to learn about the History of the Speyside Line, Kilt Making, The History of the Kilt, The Making of Grantown East Tartan, The Highland Games and Clydesdale Horses, or browse our shop for a unique gift or souvenir. Find out more. Come aboard, our two restaurant carriages await. In our restaurant you can enjoy one of our savory pizzas cooked in our own stone built wood oven, or why not try one of our unique sweet Puddin’ Pizzas. Soup and bakery goods are also available. Find out more. Take a trip on our Revack Mini Railway, open between 10.30 until 15.30 every day. Tickets are available at our Highland Heritage & Cultural Centre and our restaurant. 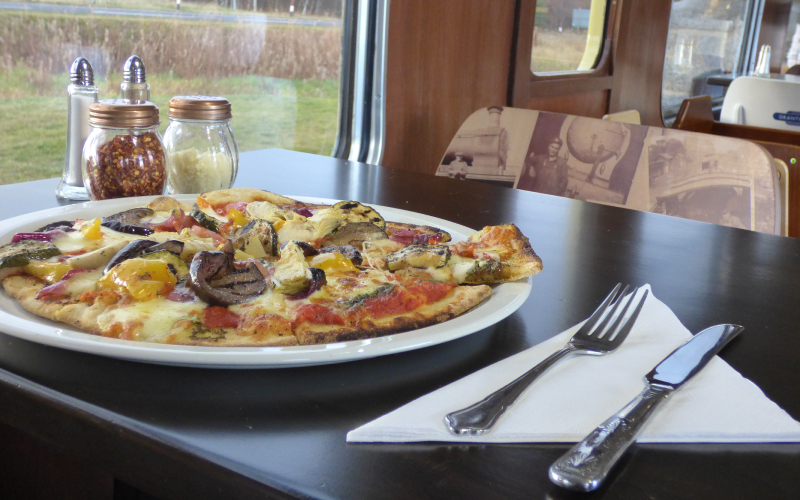 Hop aboard one of our two trains for a journey around our 450 metre track. Find out more. If you require any additional information or have any media related enquiries please contact us via this form or email us and we will get back to you as soon as we can. We are open everyday between 9.00 until 18.00, with evening dinning in our carriages until 21.00 on Fridays and Saturdays. 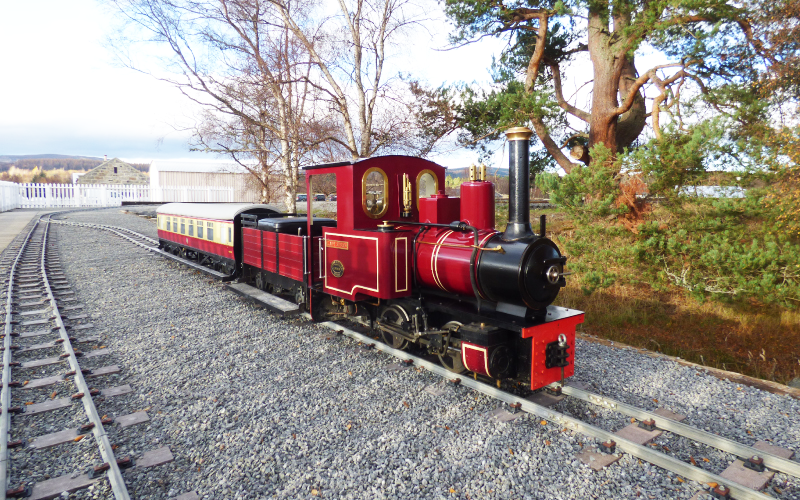 Our Revack Mini Railway train will be running between 10.30 and 15.30 each day.